Legacy Stoneworks, Inc. is committed to being the leader in high-quality, custom and classical architectural stonework and granite fabrication for building applications. Whether for stone installation or stone production, our goal is to produce the highest quality end-product of any stonework company. We are dedicated to completing work in a timely and precise manner, always to the highest of architectural and building standards. We provide all of our products and services with passion, precision and an unparalleled knowledge in the stonework craft. Mr. Matthews apprenticed in architectural stonecutting at The Cathedral of St. John the Divine in New York City in the early 1990's and worked with Cathedral Stoneworks on important architectural projects in New York City. At the Cathedral he excelled in his group at cutting precise pieces of limestone for the construction of the Cathedral towers. He worked with many of the large and most modern tools of trade and fabricated limestone, sandstone and granite as well as several other types of stone for building and dimensional stone applications. As a standout at Cathedral Stoneworks both for his skilled stonecutting and creative leadership, Mr. Matthews was recommended by the program's master stonecutter to attend City of Bath College architectural stonework technical program in Bath, England. At Bath he studied architectural surrounds for doors, windows and profiled openings as well as fabrication techniques for dimensional stones such as monuments and pier caps. After he graduated, he was accepted as a member of the London Guilds. He was honored by the mayor of the City of Bath for his contributions to the University and to the Guild. When he returned to New York from England, Mr. Matthews installed stone for residential projects side by side with leading architects and builders and quickly learned how natural stone veneers are produced and installed. 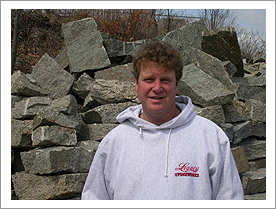 Using his skill and artistry from his work at the Cathedral and schooling, and spotting the market need for high-quality, custom architectural stonework, he founded Legacy Stoneworks, Inc. in 1992. 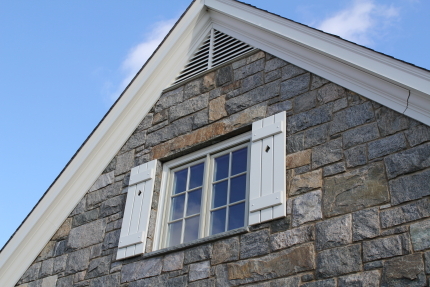 Legacy Stoneworks began to fill the local demand for architectural stonework in new construction as well as custom and restorative stonework in New York's Tri-State area. 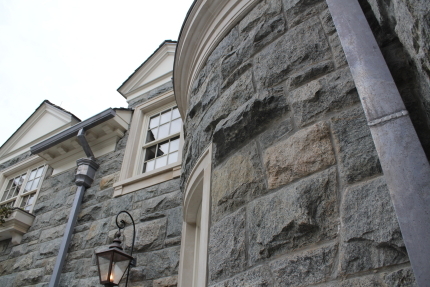 In addition to founding Legacy Stoneworks for installation, Mr. Matthews recognized a need for high-quality building stone supply that would match existing work in the local New York area, work which had been done by master artisans decades earlier. He also saw that the quality of building stone available from stoneyards and stone suppliers was poor and didn't fit his needs for high quality installation. In response to the lack of good local stone supply, he founded his own quarry and began quarrying for granite in New York's Hudson Valley. The stone quarry, known as The Hillburn Granite Company was originally operating before the great depression and supplied much of the stone used on famous homes, landmark buildings, public parks, bridges and other stone projects around the New York City area. Today The Hillburn Granite Company is a thriving quarry and granite supply business. Even as Mr. Matthews carries with him the knowledge and skill acquired from fine stonework institutions and 20 + years of experience and leadership in the industry, he continues his educational endeavors in stonework and building stone production as an active member of the Building Stone Institute (BSI), Hudson Valley Builders Association (HVBA) and as a contributing member to seminars at various stonework trade associations. Legacy Stoneworks installs many patterns of stone including ashlar, flat courses, mosaic and more. Our work however is distinguished by our ability to do stonework the way it has been done for hundreds of years. The trademark of this work is our ability, when requested, to "pillowface" and rockface our stone in an old world, classical style so that there is abundant character and texture on the face of the stone. A true pillowface look is where the center-face of the stone protrudes from the facade rather than being flush. Examples of this are below. On the left, a standard, flush style of ashlar while on the right is the Legacy difference of pillowfacing each stone. With a pillowface style, the stone is worked further on the job site by skilled stonecutters to provide the Ultimate Architectural Stonework look. Extensive pillowface style on each stone.